Anyways, here’s the month you’ll see a great deal of hearts everywhere!!! 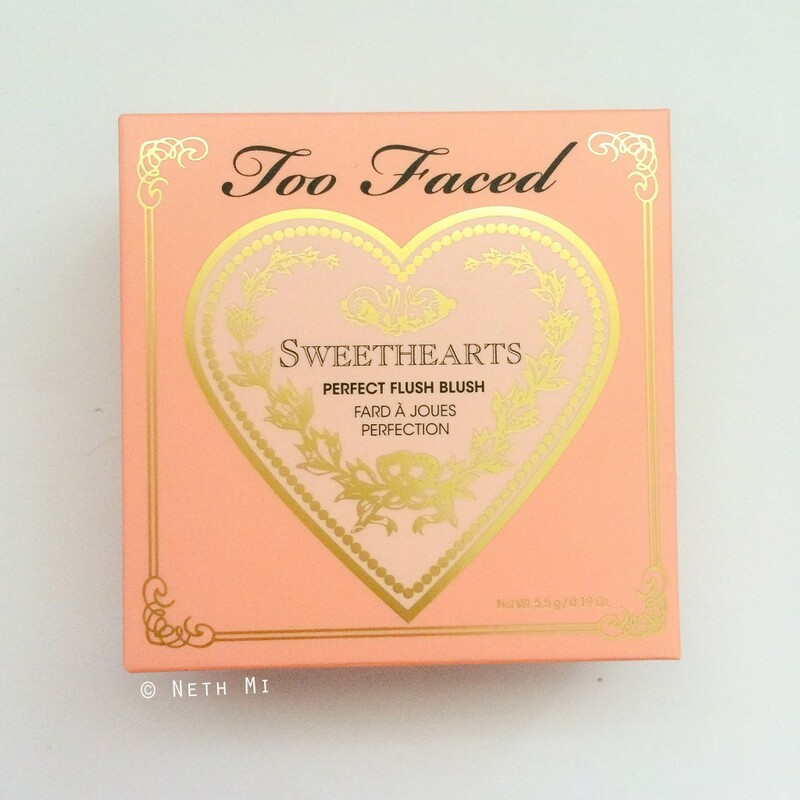 But if you’re looking for the perfect gift that is sweet and romantic to give your sweetheart (girlfriend, actually ;P ) here’s a good choice for you, in my opinion anyway 🙂 From the absolutely gorgeous box packaging to the beautiful heart shaped container full of shimmery peachy goodness!! Your girlfriend would love this! My first impression when I opened was, WOW! But then, as I applied on the face (all three colour together with a soft blush brush) it’s ABSOLUTELY GORGEOUS!!! 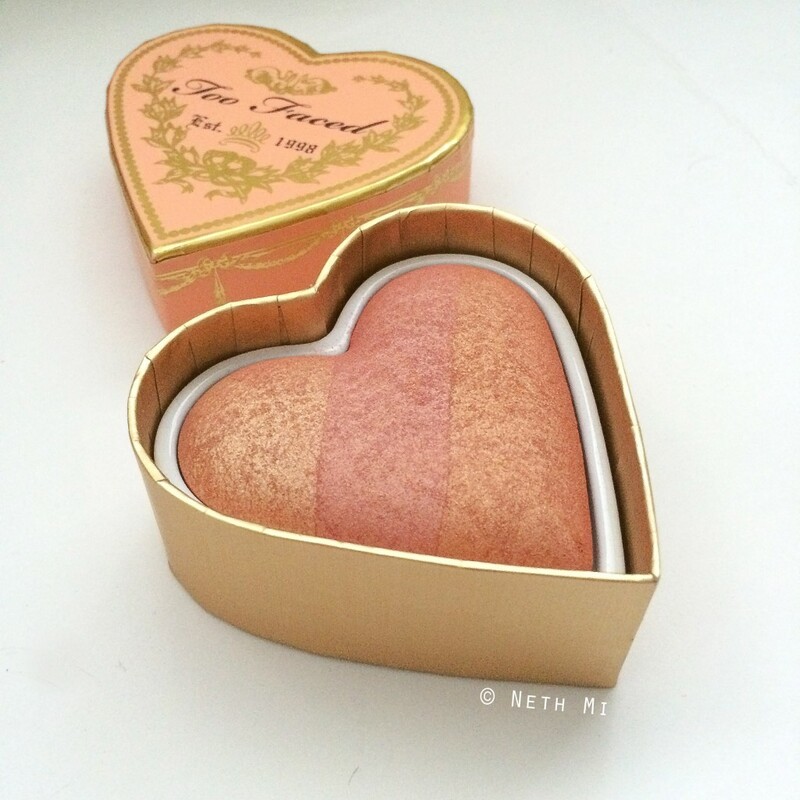 The shimmer particles transform to a beautiful glow and I’m IN LOVE! 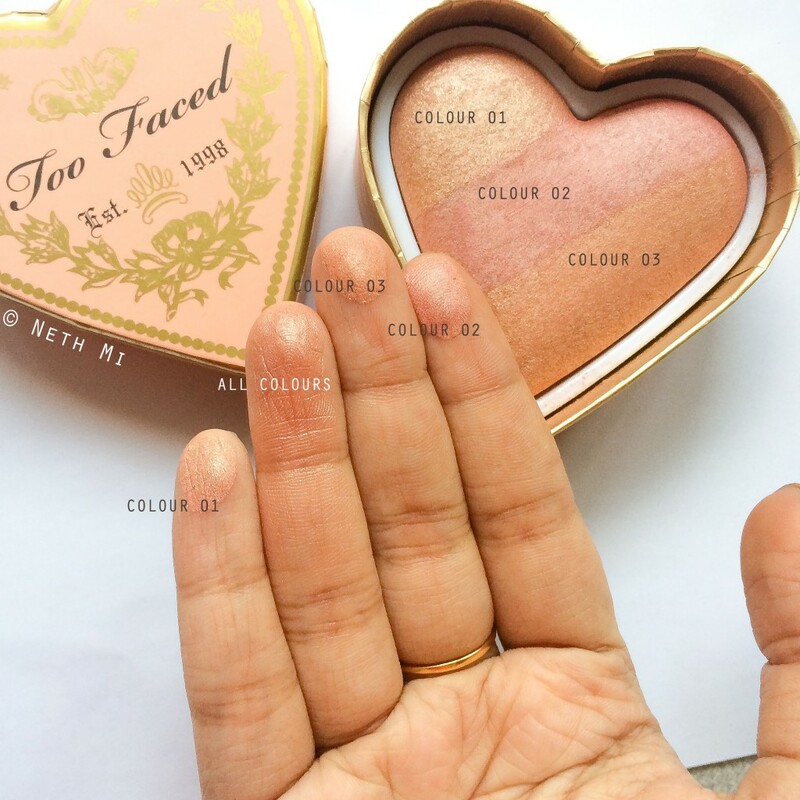 However, this doesn’t appear as peachy as it looks as I apply on my face (note: my skin is NW25) but I still love the rose-gold glow… I certainly love the warm undertone to it (cool undertones make me very ashy) and I think this is great summer blush! 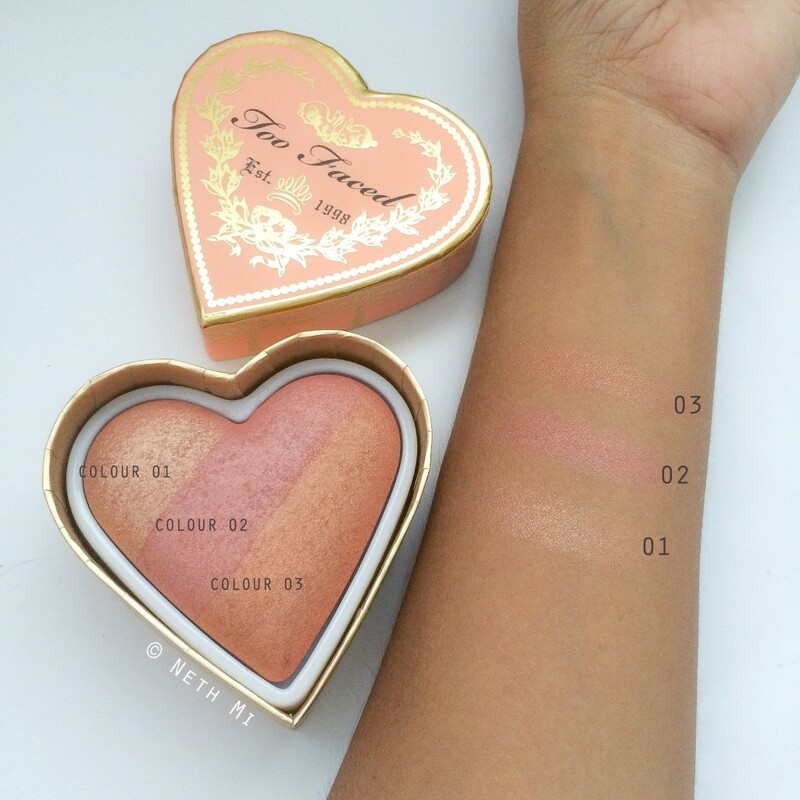 I’d love to use the first shimmery peach shade as a highlighter and mix the other two and use as the blush. 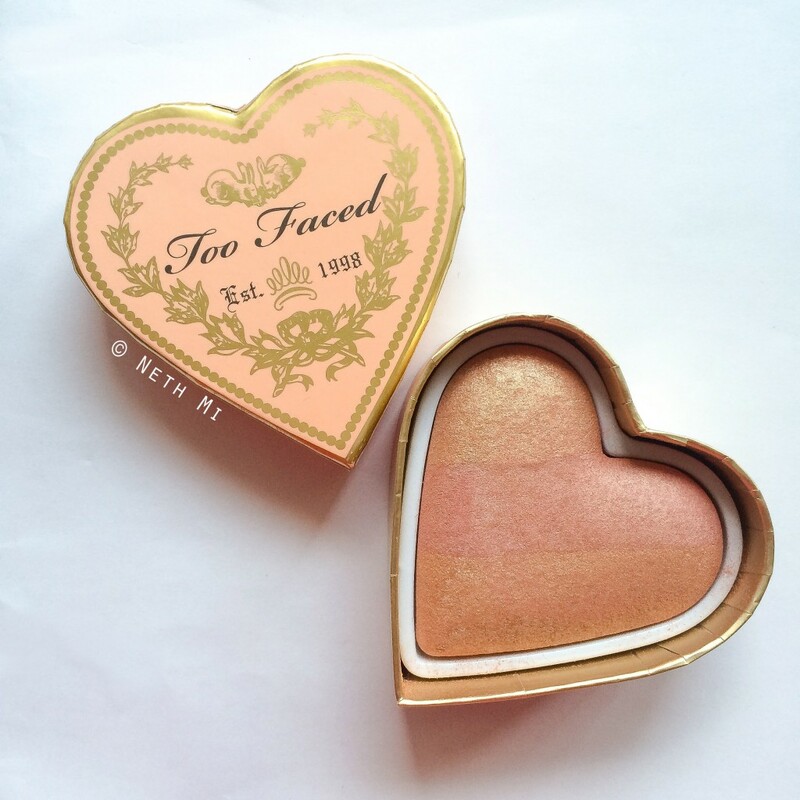 On to my pores… They’re not super visible as I thought… In other words, the shimmer is very subtle on the face thus keeping the pores away! Oh I have the same unfortunate situation 😞 I too rely on online reviews but I’m sure you’ll love the sweethearts blush 😊😊 good luck!